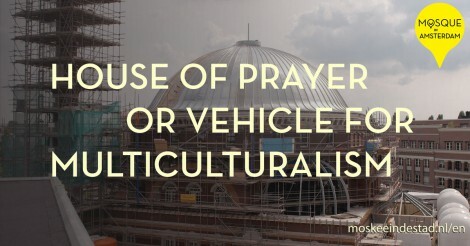 The construction of the mosque has an appeal to Muslims who settle in the area, while for non-Muslims it may be a reason to leave. 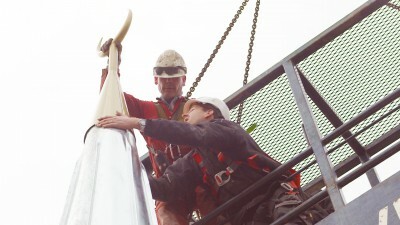 The new plan permanently transforms the negative spiral into a positive ‘source of inspiration’. 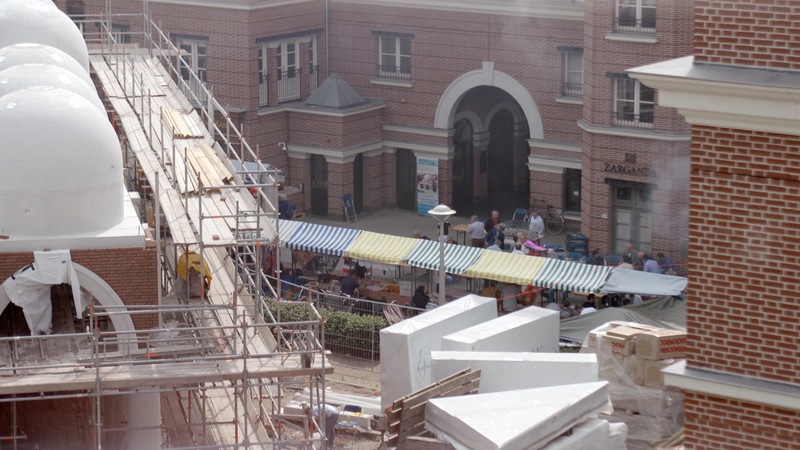 More than an instruction on how to stack the bricks, the plans to build the ‘Westermoskee’ have turned into a carrier of multiculturalism. 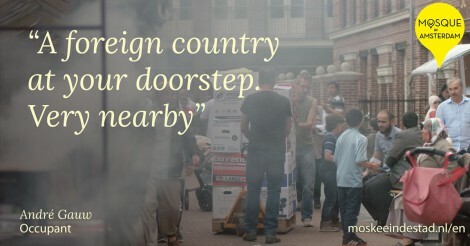 De Baarsjes is a neighbourhood housing dozens of different nationalities. 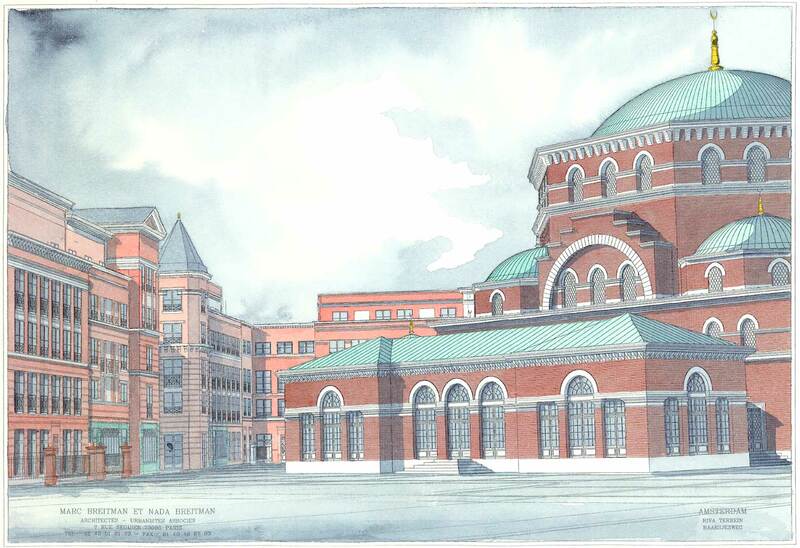 The construction of the mosque was the reason for former board member Mehmet Uyan to move to this neighbourhood. 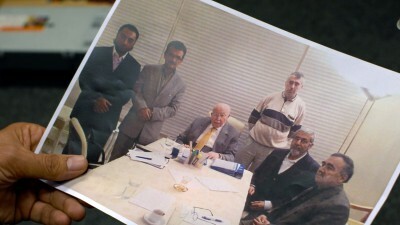 For tenant André Gauw, the Piri Reïs complex is too close to the mosque. He is no longer happy and decides to move. On May 25, 2014, the day he and his family move, the Turkish mosque community hosts another bazaar. The design of the French-Jewish architect couple Marc and Nada Breitman inspires all parties. 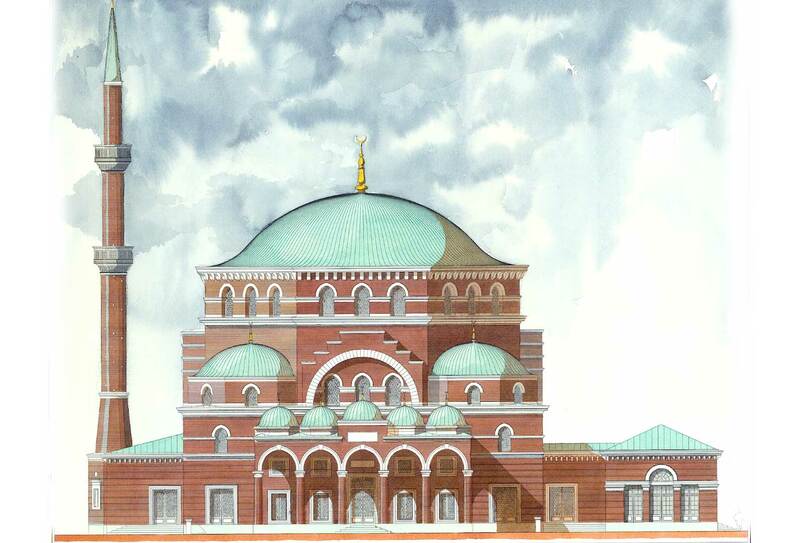 The mosque gets a prominent place in the plan and the ambitions of all project participants are equally represented. 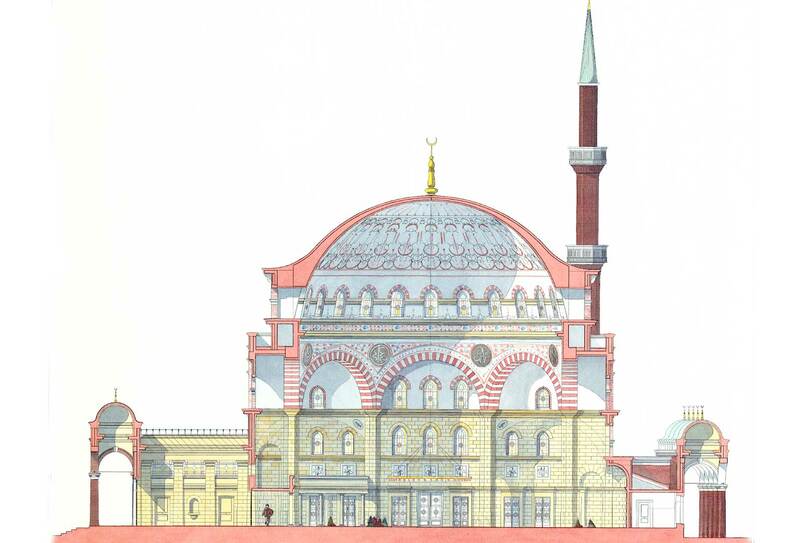 For the mosque, 1,000 square meters are reserved. In addition, 2,000 square meters are designed to hold businesses and social facilities. There is also room for rental and owner-occupied apartments as well as for parking spaces. 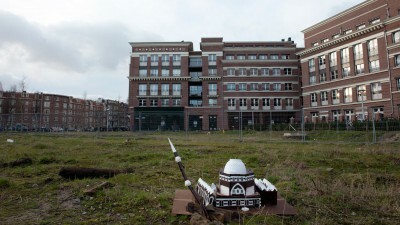 The idea is that users of these spaces will live together, with the Westermoskee as a multicultural centre. 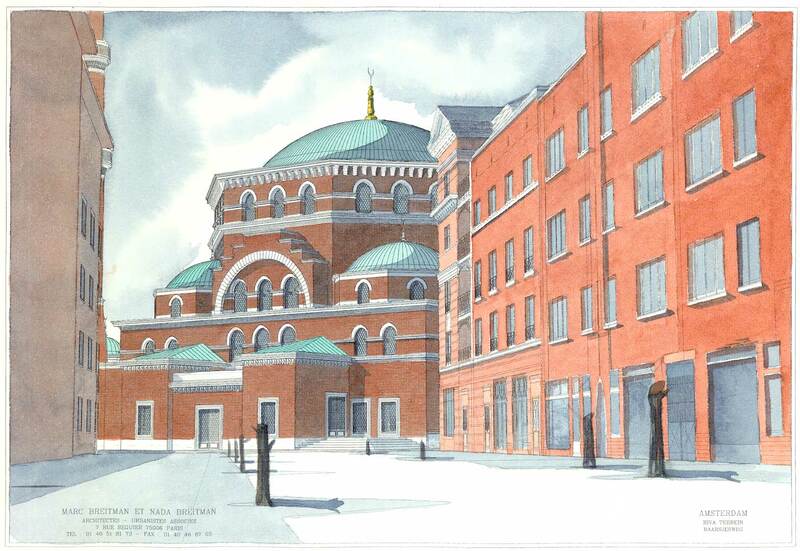 For Frank Bijdendijk of social housing corporation Het Oosten (now called Stadgenoot) it was very important for the mosque to support integration. 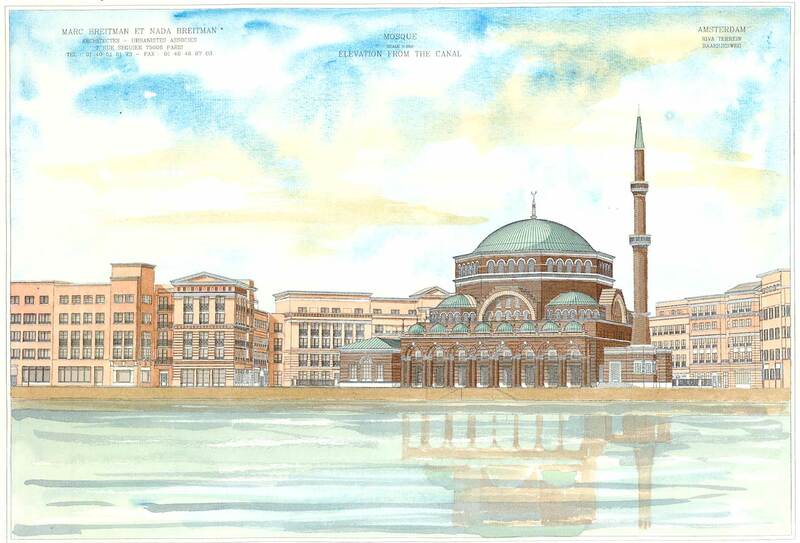 The architecture of the mosque was specifically designed for that purpose, as it combines elements from the Amsterdam School of architecture with a traditional Ottoman building style. 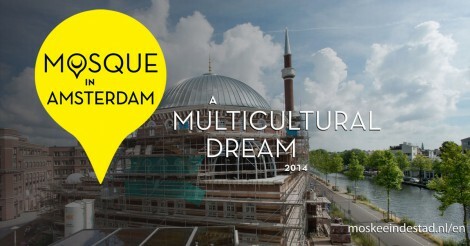 In Bijdendijk’s vision, the mosque was to become ‘a social centre for integration’. It was on that idea that he got politicians to support the plan. 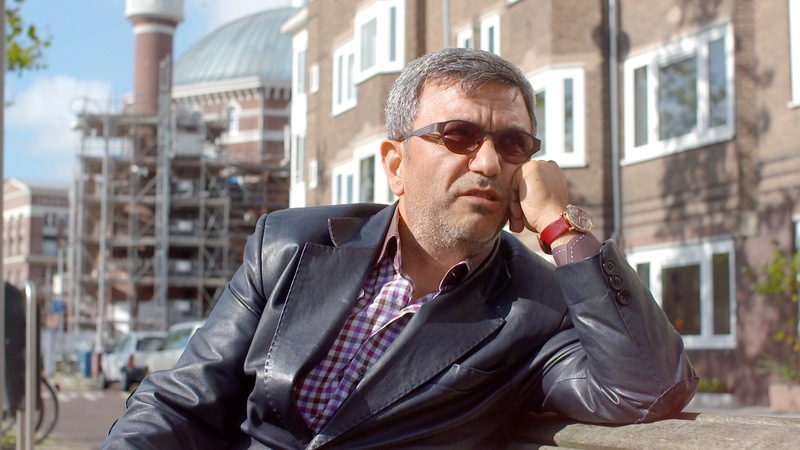 Stacking bricks for a prayer house was not the main aim of ex-director Üzeyir Kabaktepe of Milli Görüş Northern Netherlands. 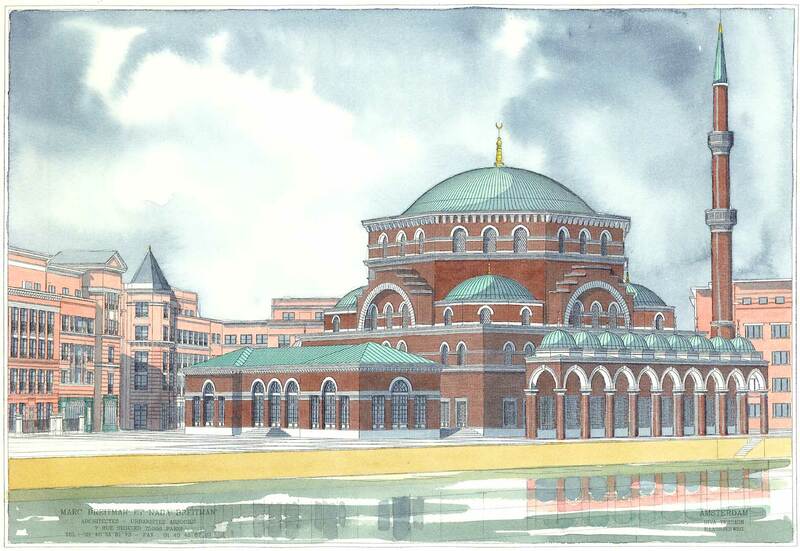 The plan for the Westermoskee entailed much more: it also had to be an Islamic documentation centre and a place of debate. 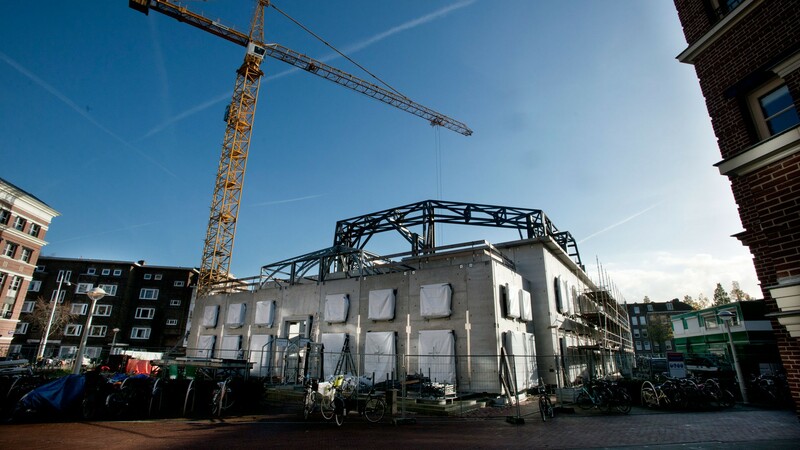 The whole project was to be offered to the Dutch society as an instrument of integration. 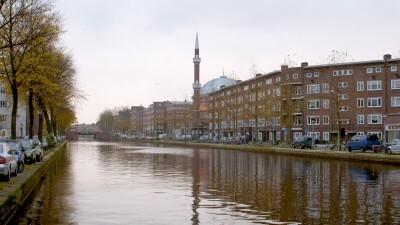 In 2001, while the Westermoskee is being developed as a project of integration, relations between Muslims and non-Muslims reach a difficult point following the attacks of 9/11. 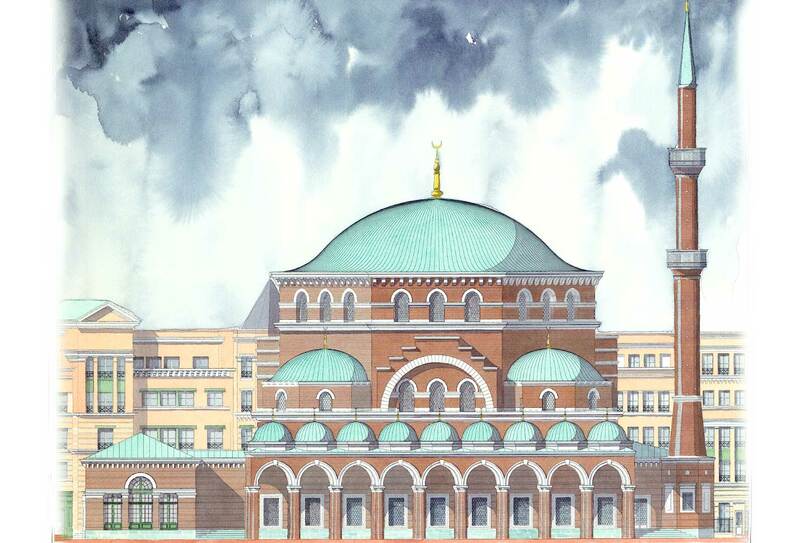 Director Haci Karacaer and the board of the Aya Sofya mosque organise their yearly Iftar for both Muslims and non-Muslims during the month of Ramadan. 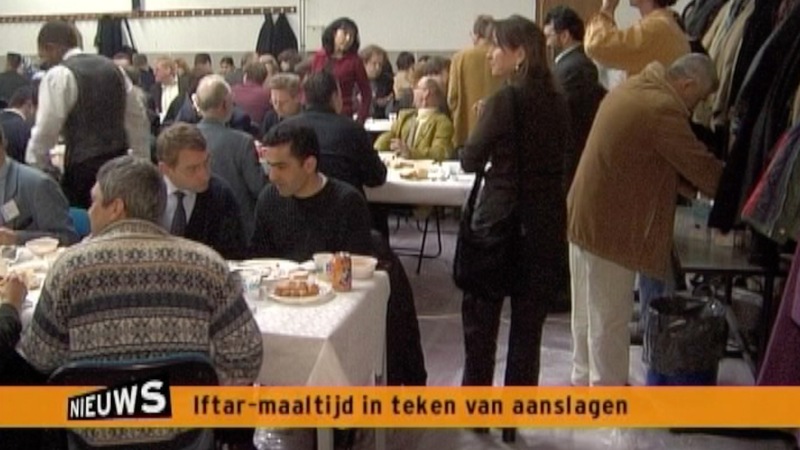 During the Iftar, citizens, leading opinion makers and politicians are all invited to eat and talk together. 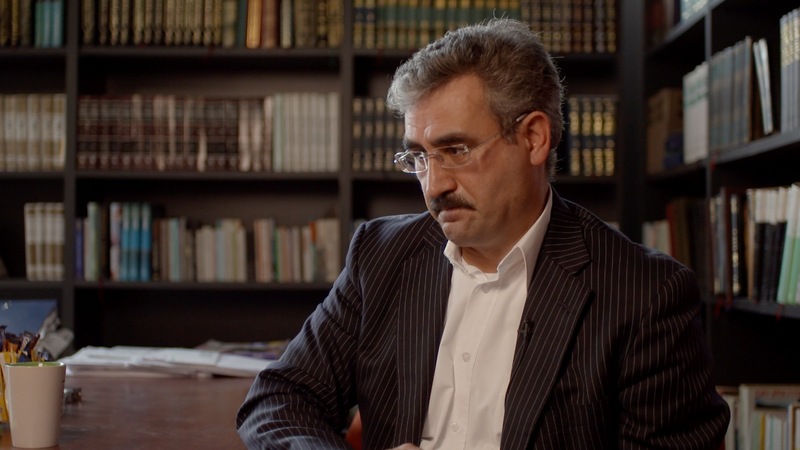 While Haci Karacaer is director of the Aya Sofya mosque, tensions between Muslims and non-Muslims rise. 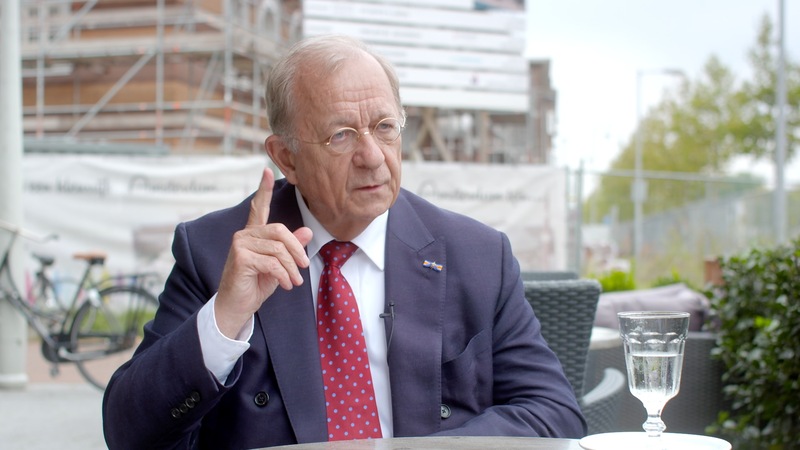 Yet he succeeds in engaging all sorts of people in dialogue and debate at the old Riva garage. 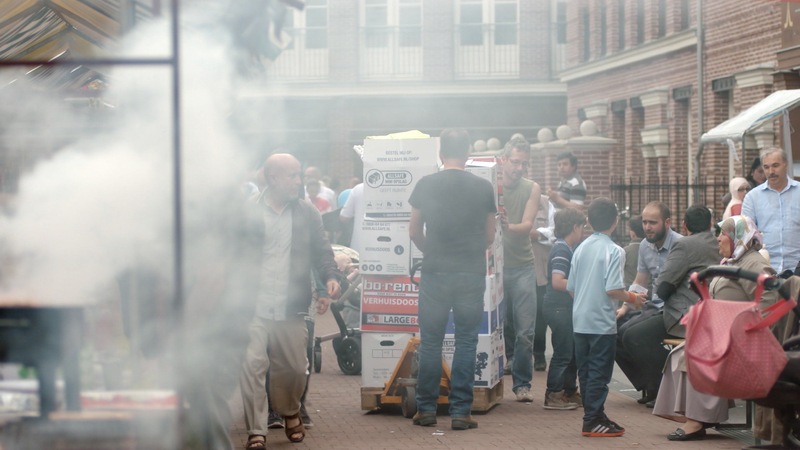 Not just the mosque community, local residents and project partners, but people from all over the world – ‘even from Vietnam’ – visit De Baarsjes.